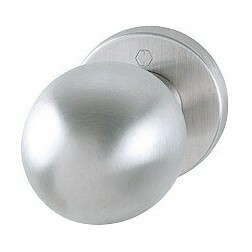 Stainless Steel door knob for entrance door by Hoppe. Fixed mode installation. Mounting accessories included. Round knob with Functionality structure guaranteed up to 10 years. 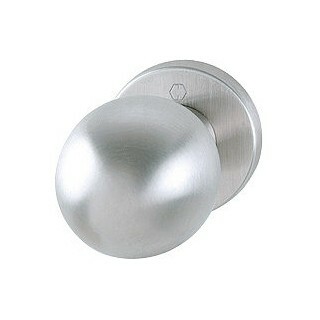 The material used for the creation of this knob for armored doors is the stainless steel, which gives it a satisfactory weight. The rosette measuring 52 mm in diameter while the knob 50 mm. We recommend the installation outside the front door because it is very resistant to wear.